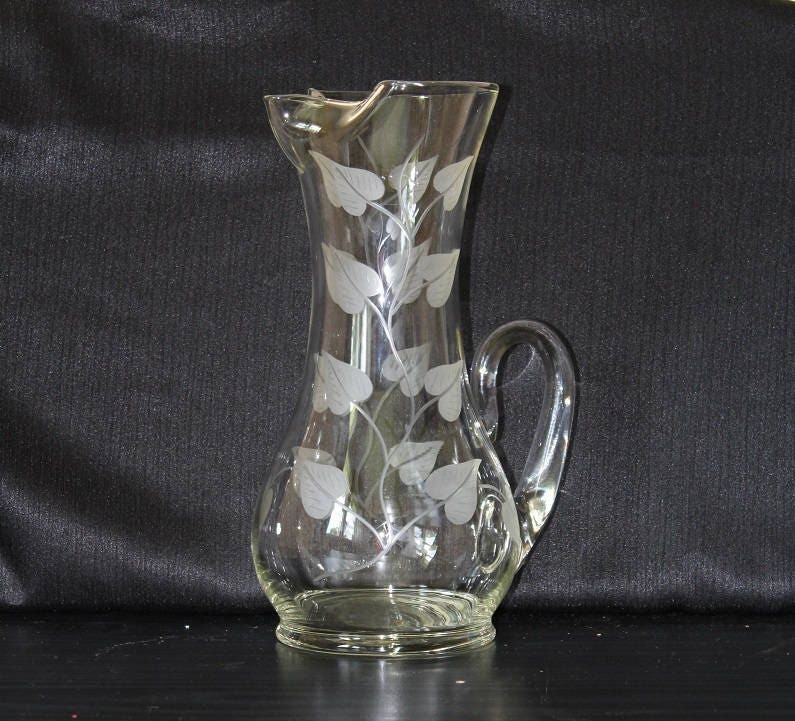 This large cocktail pitcher will look great on any table at your next gathering. 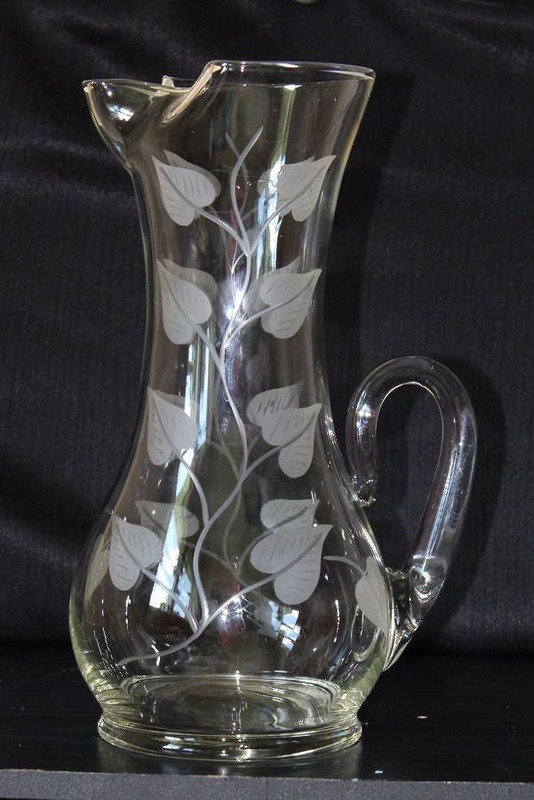 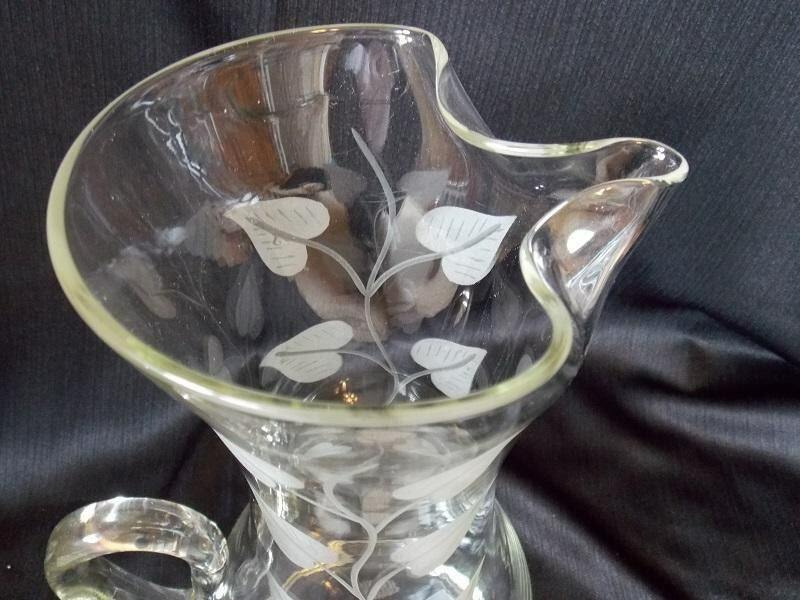 It features a vertical frosted etched leaf design on two sides of the pitcher. 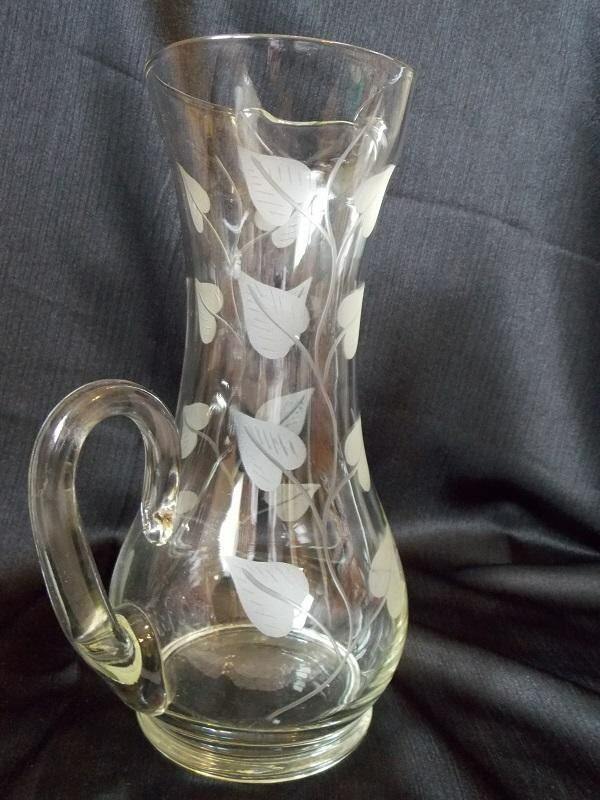 It has an an applied clear handle which sits low on the pitcher and a pierced ice lip. 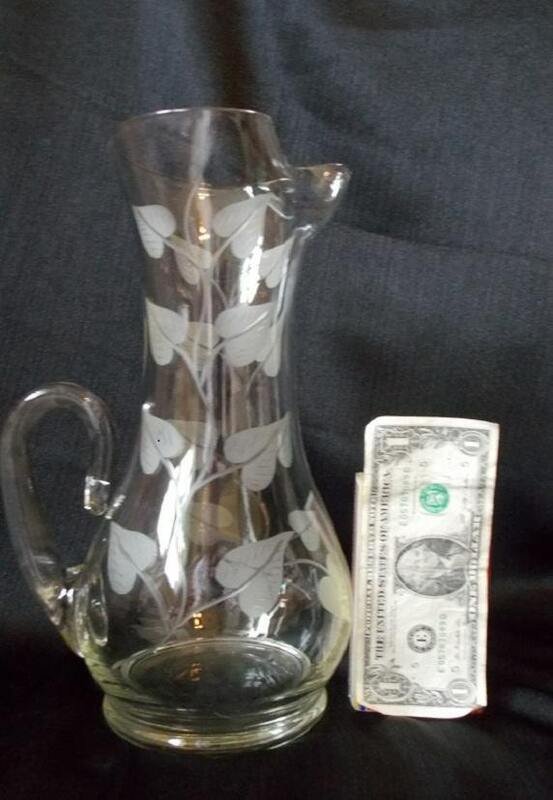 This pitcher is unmarked.